Church became famous for his paintings of natural wonders like Niagara Falls, icebergs in the Arctic, and volcanoes in South America. 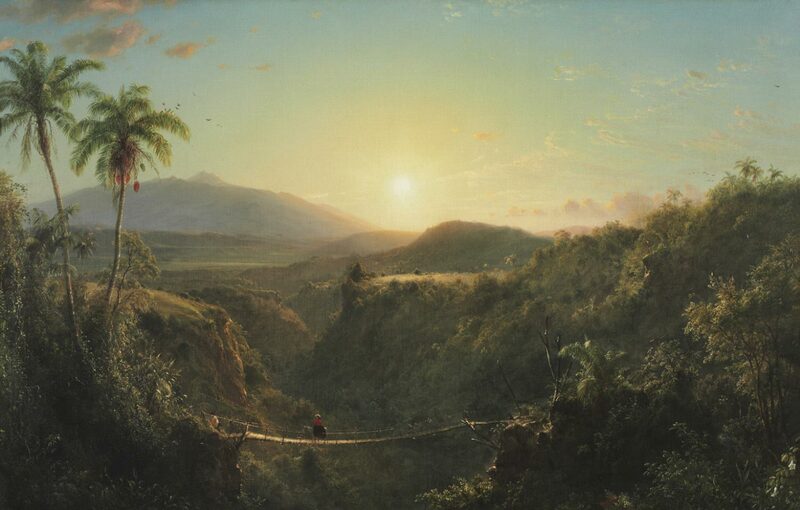 He sketched this volcano, called Pichincha, on a trip to Ecuador in 1857, but made the painting ten years later in the comfort of his studio in New York. In the finished work, Church added palm trees that could not have grown on the high Andean plain. Although the volcano is dormant in the picture, its eruptions were frequent and dangerous. It had also been the site of a fierce battle in 1822 between Ecuadorian patriots (fighting for independence) and royalists (loyal to Spain), after which the country was plunged into uncertainty and sectionalism, much like the post-Civil War United States was facing at the time Church made this painting.